Next to our house, our vehicles are our second valuable asset. After all, it brings convenience to our life by making our journey easier. But unfortunately this comfortable experience comes to an end when the engine of a vehicle gives up or gets damaged. Of course, you can imagine how daunting a situation is when an automobile’s engine fails. It becomes even worse when the driver is left stranded in the middle of the road. Furthermore, it scares the hell out of a person when it comes to pumping large money on repairing a busted engine. And, the cost of its repairs may go on increasing for safely getting your vehicle on the road. Therefore, the best solution to this problem is to sell your vehicle with a busted or blown up the engine. To some auto owners it may seem to be a bad idea to sell a car with engine problems. But when you will contact the professional and skilled Sydney Auto Wrecker like us it will be the best option to go with. Whether you have a vehicle from an old or latest make, we will happily quote the best price for it. As we are not restricted to some specific models. In fact, we also schedule a free removal of any vehicle in any condition. Normally, we purchase and collect a wide range models of all popular brands like Toyota Corona, Mazda Bravo, Subaru L-series, Ford Escape, Nissan Land cruiser, Mitsubishi Mirage, Honda Civic, Suzuki Vitara, Subaru Impreza, Peugeot Citroen, Saab Renault, Audi A series, Mercedes, Daewoo Daihatsu, Jeep. BMW Series 1, 2, 3, etc. Why hire reputed car wreckers in Sydney? Although there are a number of wreckers operating their services in the market. But it is wise to approach the most reliable service provider. This means choosing a wrecker that highly value its clients and is willing to pay higher rates. This is where we prove to be very dependable and trustworthy. As we understand the type of attachments an individual share with his used vehicle. But when its repair costs become more than the actual value it is no more an asset for the owner. That’s why, we never dupe our clients by offering low cash rates. Beside this we also offer free pickup services on the same day throughout Sydney, NSW. 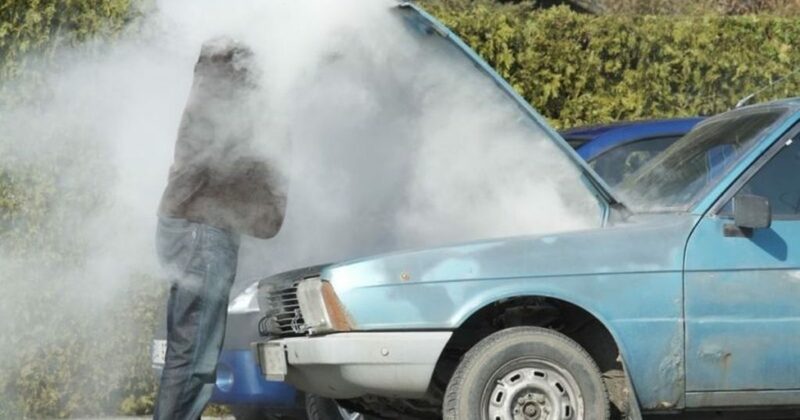 Being the leading car breakers in the town we offer the maximum bid for overheated cars. We always show interest in making money out of the entire automobile, including functional and non-functional parts. Instead of being concerned about specific components of your automobiles. After properly analysing the current condition of your vehicle we will offer you the best rate. After transporting the automobile to our working place we make sure to utilize its each and every part. This way we make the entire process highly lucrative and pay the fair price. Please call us today at: 0401 333 393 or submit our online form to identify your vehicle’s real worth. 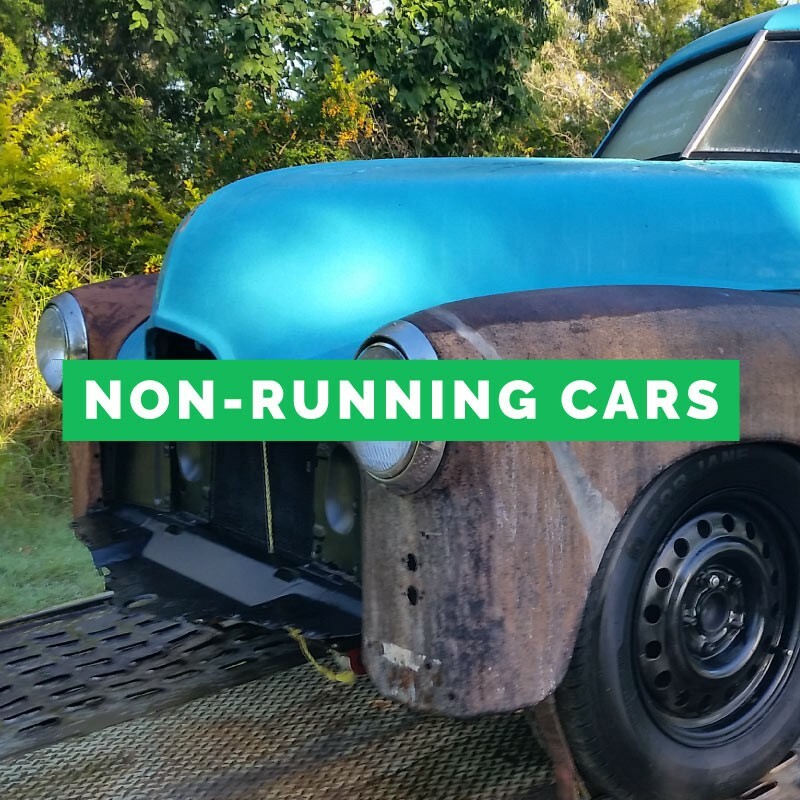 If you are in ownership of a scrap automobile that is currently living on your property, taking up space, this post is for you. Not only does that vehicle not need to be there, but getting rid of it can make you money. 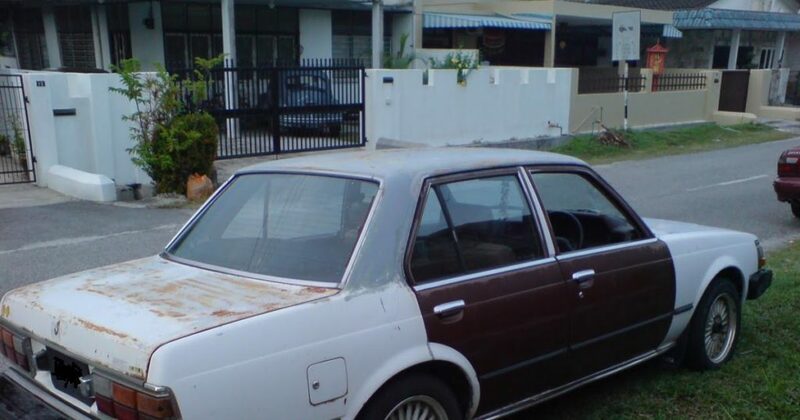 And even if the car isn’t junk, and you just need to sell it fast, there is a quick and easy way to sell any car regardless of its condition. There is no cut-off date for getting rid of your automobile. The condition your vehicle is in won’t serve as a disqualifying factor for selling it to the right folk. However, the longer you leave it the less money you will get. If you have a car or truck that you don’t need and never use, but you are still paying money on its insurance and maintenance, you need to get rid of it. You are pretty much throwing money down the drain on a regular basis. That could be money spent saving for a trip to Spain. It could be used to save up for a down payment on a brand new vehicle, or at least a second hand replacement. Get in touch with your local cash for cars service like Wreck Monster and sell it as quickly as possible. Read more top 5 reasons to sell your car to Wreck Monster. Have grown tired of having to constantly have to get repairs on your old vehicle all the time? It would drive even the strongest willed individual to drink. But it doesn’t need to be this way. You can put an end to this silliness once and for all. Simply get in touch with your local vehicle removal experts. Some call them cash for car services, some simply refer to them as auto wreckers. Whatever you decide to refer to them as, they are the quickest way to sell a car known to man. In the past, if your vehicle died, your options for getting rid of it once and for all were limited severely. You pretty much had to sell it to the scrap metal yards, who would rip you off all the time. And they would make you pay for the towing of the vehicle to their premises. Fortunately, we live in more enlightened times. Your local auto removal service will most likely perform free removal. It is important to make sure they do this, as some still don’t. Some will remove your vehicle for you, but pay you less money in order to make up for the cost. Your local vehicle wrecking company won’t only buy junk cars. If you need to sell your car, and it runs just fine, you can sell it privately. But it will take a long time. And you will need to talk to many prospective buyers first. Selling to a cash for cars service means that your vehicle will get sold within the same day that you contacted them! If your car has reached such a state of disrepair that the cost of fixing it could buy you a replacement vehicle instead, you would be better off selling to a cash for cars service. They will pay you top money, before taking the vehicle to their site and recycling it for the good of the environment. If you live in Sydney, you will have no trouble finding a good car wrecking company. The good ones like Wreck Monster will not charge you a dime for the removal of your vehicle either. We cover the entire NSW, including Richmond, Parramatta, Penrith, Baulkham Hills, Blacktown, Liverpool, Ultimo, Campbelltown & Greenacre. We provide the community with a means for people to sell your junk cars. This is important seeing as junk automobiles would be very hard to get rid of otherwise. When it comes to recycling, we follow strict guidelines put in place by environmental agencies to make sure that the wrecking process doesn’t harm the planet in any way. This is on top of the fact that we will buy your vehicle off you within the same day. Which makes this the quickest way to sell your unwanted car, whether it is used, old or unwanted. Of course, the biggest detail that makes this such an attractive method for scrap auto owners is the money that can be made. If you have a vehicle that has for some reason entered its junk stage, this doesn’t mean it is now completely worthless. There will almost definitely be some auto spare parts on it that can be salvaged. At the very least there will be plenty of steel that will be worth money on it. A good auto dismantling company like Wreck Monster will extract these parts and materials using specialised tools. Then we will sell them, making money. And, of course, a good amount of that money will be yours. That is because we will purchase your scrap vehicle off you before we salvage the parts. You may be thinking that if you could just salvage the parts yourself you can get all the money. This would be true if you had a salvage yard with all the space needed in order to do this. You also require all the specialist tools, as well as the know-how, skills, expertise and experience to be able to do this without wrecking any of the parts that you are trying to save. The likelihood is that you don’t have these things, and if this is the case, your best option is to sell your car to someone that does. All you need to do is contact us, tell us the make, model, age and condition of the car. Then we will give you a quote. If you accept it, we will send someone over to look at the vehicle, make a final offer, and pay you cash on the spot. After that we will remove the vehicle from your property free of charge! Last but not least, one more great reason for selling your unwanted vehicle to a cash for cars service is the fact that you will be freeing up space on your property. So don’t delay any further, and sell your junk car to Wreck Monster in Sydney today. At Wreck Monster, we cut the cost of car removal in Sydney and create the whole process easier for our customers. If you have owned your car for a good decent amount of time, no-one could blame you for feeling like the vehicle in question is almost a part of your family. The fact of the matter is that a lot of folk don’t replace their car for many years, sometimes decades, even. It won’t be simply because they don’t have the spare funds to buy a new one. It can be a result of an emotional bond that they have developed. But at some point they have to bite the bullet and say goodbye. Usually when it costs too much to keep it maintained. What do you do when your automobile has reached this stage? You can’t just leave it in the garage as that is a giant waste of space. You can’t pass it on, because the same reason, you don’t want it will be the reason, whoever you offer it to won’t want it. And forget about selling it. Who wants to buy a vehicle that costs too much to maintain? If this sounds like you, never fear. You can always sell your vehicle to a cash for car service. If you don’t do anything, you will end up with an old junk car just slowly deteriorating somewhere on your property. Don’t let this happen to you. There are companies out there who actually buy junk vehicles off people. And they usually put a lot of emphasis on convenience. A good cash for cars company will be quick and responsive, plus you won’t even have to lift so much as a solitary finger throughout the whole process. Hiring a car removal company in Sydney could be easier than ever. You won’t have to transport the vehicle to their place of business. Instead, after you call them and get a cash quote that you are happy with, they will normally come to your place. They will look at the vehicle in person and give you a final offer. Furthermore, you won’t have to shell out any money for the car to be hauled or towed off. Most cash for car companies want their customers to get the most amount of money that they can. Making them pay to transport the vehicle will just undercut that effort. This also happens to be an extremely environmentally friendly way to dispose of cars. Because when steel is recycled, the demand for steel that has been freshly mined is less. And it takes more energy resources to recycle steel than it does to mine it. This equals less pollution in the waterways as well as less carbon dioxide in the air. Carbon Dioxide is a major greenhouse gas, the one behind climate change. Also, there are toxic substances in all vehicles, and leaving them to deteriorate instead of disposing of them is bad. These substances, such as battery acid, brake fluid, coolant, and a whole host of other hazardous chemicals, will leak out into the ground, harming wildlife and plant-life. Getting your vehicle recycled makes sure that this doesn’t happen. How to sell your car with mechanical issues in Sydney? Selling a car require a lot of effort, especially if it has some mechanical issues that cannot be repaired. Before you plan to sell your broken or damaged car for cash. You will need to spend a large amount on its repairs and maintenance. Aside this, marketing the vehicle, researching its right price, negotiating with the buyers and arranging test drives for them will take a lot of efforts as well as time. But before you decide to get it repaired you will need to prepare your budget and what needs repairing and which areas exactly needs fixing. Where to get the repairs done? Before you take your vehicle to an auto mechanic. It is very important to determine the areas of your vehicle that needs repairing. If you are an overly knowledgeable about the inner workings of your automobile. You may be easily able to figure it out. But alternatively. You can seek the help of professionals and no one will judge you for it. Additionally, make sure to give your vehicle a good cleaning. It will be very helpful in increasing its overall worth. No matter if your vehicle is damaged from inside or outside. Giving it a good cleanup will assist you to discover the areas that need servicing. Also, watch out for rust, broken lights, scratches, dents, missing trim, etc. As these issues will have a detrimental impact on the overall value of your auto. The main part that usually needs to be seriously valuated during the overall assessment of automobile is the engine. Make sure to look for any leaks in the engine. Check whether or not it is properly cleaned. Never forget to check out the auto’s interior. You would of course not want the owner to come. Or may be call you a fraud because of not mentioning about the damaged parts and components at the time of selling your automobile. How much you should budget for your auto repair? Before you get the repairs done, make sure to check if repairing your automobile will be a cost-effective option or not. As a vehicle gets older getting it repaired is more likely to be expensive. It appears to be a total waste of money. If you are planning to sell an old vehicle with mechanical problems, you will not only need to have it fixed, but also advertise it, which can be very expensive. Thus, you can list automobile for sale as being available for purchase in its initial state. Another great option is selling to cash for a car company or salvage yards, who all types of damaged vehicles. These people pay a reasonable amount of cash based on the number of parts and components that they can easily take off the vehicle and sell them again. If you have a good working vehicle with not so old model, then it will probably be cost effective to fix it. Which areas actually need fixing? If you have good expertise and skills about the working of automobiles, then you may be reasonably able to do the repair work yourself. But in most cases it is wise to pay to get those repairs done rather than simply wasting your efforts, time as well as money. Other than this, you can also consider using car wrecking services in which you will not need to lift a solitary finger. 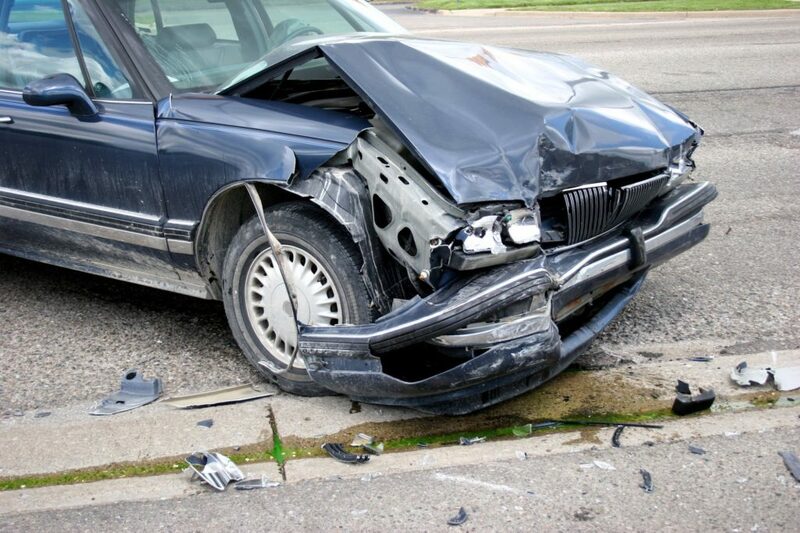 Exploring the correct auto wrecking outfit will involve having a good look at their online business listings. Getting a little cash quote from some companies and checking the testimonials given on their website. If you wish, you can also ask for recommendations from your friends and family. Make sure to choose a professional mechanic, when it comes to getting the repairs done. After it has been repaired. You can include the details in the auto’s advert. This might attract even more potential buyers towards it. In the case of a vehicle that has stopped working, and repairing it will cost you an arm and a leg, what do you do? Cars that fit that description are usually referred to as clunkers, or “junk vehicles”. Some folk prefer the word scrap over junk, but that is just splitting hairs at this point. Anyway, there are a few different options out there, but realistically you won’t have the tools or skills to disassemble an automobile and sell the parts off piece by piece. You could try to sell it privately to someone who can do that, but it will be a struggle. And it will take ages. You won’t want to tow it to a wrecking yard as it costs money and they will require you to get the vehicle ready first. This involves draining fluids and removing the tyres. They probably won’t even pay you much, if anything, for it. The best option, by far, for anyone wanting to rid themselves of a junk vehicle, is selling it to a cash for cars-company. They will buy the vehicle off you and remove it from your property free of charge. Do you need paperwork to scrap a car? If you have decided to sell your junk vehicle to a cash for cars company in Sydney, the title of ownership, photo ID and registration are all that is needed from your end. You are also well advised to make sure that you can sign a sales contract. When a cash for junk car companies goes about figuring out how much a vehicle of any kind is worth, they will take into account a few different points of information. One of them is how much the car weighs. This is because they will be salvaging the steel and other forms of scrap metal in and on the automobile in question. If there are precious metals under the hood, this can influence the value as well. Other factors are the age, condition, make, model and odometer reading. The condition affects the value of a car because parts that are in good condition won’t need reconditioning. If you want to know how much your junk car is worth ahead of any sale to a cash for scrap car company, you can get a quote from them. Make sure that the company you have chosen keeps their fingers on the pulse of scrap metal prices. They tend to fluctuate. You will want to do business with a company that is legitimate. It is just making sure that all their services are completed to the upmost of professionalism. So do a spot of research and find out whether they are fully licensed, insured, and has a phone number and address on their website. Different companies will have different levels of speed. And the amount of time that their services take to execute will also depend on how far you are from them geographically. Some give quotes over the phone or online. Others arrange a time to come over and inspect the vehicle before offering a price quote. It normally takes less than 24 hours, though. When folk need their old cars hauled off from their homes, the reasons for why cover a wide range. Maybe the car has gotten very old and has succumbed to wear and tear, or maybe it has been in an accident. Whatever the reason is, we here at Wreck Monster are here to buy the vehicle off you. And the whole process of selling to us happens to be the easiest in all of Sydney, NSW. You won’t have to lift a single finger, or experience an ounce of stress. But that isn’t all. If your car is a bit of a wreck, and you are under the impression that it is therefore worthless, you would be wrong. Your vehicle is worth money. It doesn’t matter if it is a junk automobile. There will be materials and components on it that are worth money. Even if it is only the scrap steel. We will evaluate the how much your car is worth and pay you the most amount of money that it can get. If it isn’t junk, it can get up to $9999. In addition, seeing as we often buy junk cars that aren’t safe to drive on the road, or just plain isn’t running, we here at Wreck Monster are proud to perform free removal services. This means that you can put away those yellow pages looking for a local tow truck, as we have all the equipment needed to haul a vehicle away. You won’t need to pay a dime, or lift a finger. Anyone who has ever sold a car can tell you about all the assorted hoops they have to jump through before the vehicle in question is sold. The machine itself has to be cleaned, serviced, fixed and vacuumed. You have to take pictures, write ads, pay for ad space on various websites and advertise on social media. Then there are all the customer interactions that you are required to make before someone finally decides they want to buy the vehicle. But only after negotiating the price down from its proper price. Here for Wreck Monster we eliminate all of that rigmarole. All you need to do is call us and provide us with some info and the rest is taken care by us. We make sure that we recycle all the components of a vehicle in the most environmentally way possible. We follow the strictest guidelines that have been formulated by environmental agencies. Any and all toxic elements are disposed of correctly or recycled. The planet is a better place because of folk like us. When you get in touch with Wreck Monster to sell your car to them. You will be about to experience the speediest auto removal service in all the land. We will get your vehicle removed from your property on the same day that you contact us. You can rely on us here at Wreck Monster to provide a service that is prompt, efficient and without any mucking about. Simply contact us via phone or online via the free quote form on our website. When you are in need of a quick, simple and convenient method for selling your ride, and you live in Sydney, you wouldn’t be amiss to enlist our services here at Wreck Monster. When it comes to fast and effective car removal, we are the go to company that more and more folk is turning to. The whole process is the very model of stress free simplicity. First contact us. This can be done either by filling out the form on our website, or by calling us. Whichever you prefer is fine. You will be asked to provide a few important details about your vehicle. Then we provide you with a free, no obligation cash quote. If that quote sounds great to you, we will arrange to come to your place or wherever the vehicle is located. If you are available on the same day, we can do it then. When we come over we perform a final inspection, offer a final price, and then we buy the car off you. The crew at Wreck Monster take great pride in the level of accuracy and fairness that we display when providing price quotes. We keep our knowledge of scrap metal values and the value of different parts up to date on a regular basis. Knowing the make, model, age and condition of a vehicle provides us with ample info with which we can do this. Sometimes we pay up to $9999 for cars that are in good enough condition. If the vehicle is junk we will estimate its value based on the parts and materials presented to the automobile. We often have customers ask us how much we charge for removal. The truth is that we believe that to charge the seller money for the car that we just bought off them is not good business practice. You are the one that is supposed to be getting paid, not us. So with this principal held firmly in mind, we take on the responsibility of removing. This is an especially great service for those good folks out there whose vehicle isn’t running. Think of a make or model and the chances we will buy it if offered are one hundred percent. This is because we have an inclusive attitude to cars. We want all of them. This includes the most famous brands as well as the most obscure ones. If you need to sell a Mazda, Nissan, Suzuki, Mitsubishi, Toyota, Honda, Holden, Hyundai, Subaru, Mercedes Benz, BMW, Ford, Volkswagen or any other brand of vehicle, look no further than Wreck Monster. Has your car seen much better days? Maybe it has been the victim of water damage due to flooding in your area. Or perhaps it has been on fire and is a mere shell of its former self. Whatever condition it is in, we will buy it off you. Contact us to get rid of that old car. Get an online quote today.